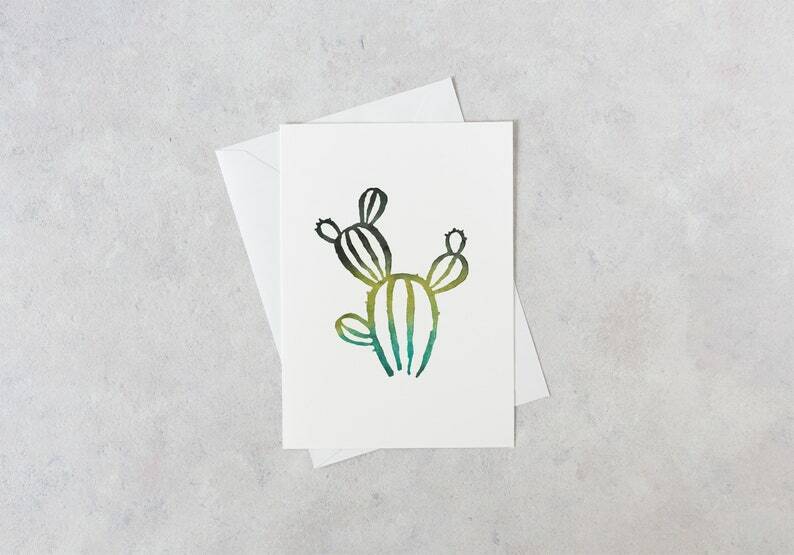 This card features a beautiful green-and-blue ombre prickly pear cactus created from an original watercolor painting, then digitized to create this card. The card measures 5" wide by 7" tall, and is blank inside so you can add your desired message. Plus, the 5"x7" format fits a standard frame, so the card can live on as a beautiful work of art in your recipient's home.